Carpentry and joinery and kitchen fitting profesional friendly service. Hi, my name is Marco Cretoni and I'm a professional joiner and cabinet maker. I have more than 10 years of experience as a maker of modern and classic furniture and also as a restorer of old furniture. Every one of my jobs has been studied and design together with my clients according to what they like and what they need, so to find the best solution for an optimum result, that it can be a new modern furniture design or classic design based on the style of their house. C A Miller has over 30 years' experience in the carpentry and joinery trade, and for the last 15 years has provided bespoke furniture and fitting to much of North London. So if you're looking for an expert to craft and fit your ideal pieces of furniture with high quality, precision workmanship, then you've come to the right place. 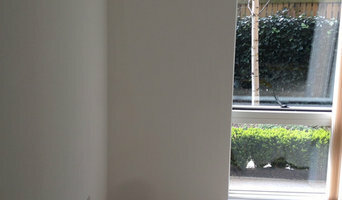 YK Carpentry and Joinery is an innovative, professional and very reliable carpenter and joiner based in Kent, London. Providing a wide range of bespoke carpentry services such as; handmade doors, shelves, walk in wardrobes, decking and much more. Whatever design idea you have, our experienced team will be able to bring it to life. Our carpentry service is both time efficient and material efficient in that we always do our best to get each job done on time and within budget. All of our carpenters and joiners have years of experience in both residential and corporate carpentry which enables them to provide such a top-class service. Each service we provide is very competitive which is why we have become so popular throughout Kent, London and the UK. We believe in offering our customers the best possible service for the best possible price. For any and all jobs, no matter if they are big or small; YK’s Carpenters and Joiners can meet your needs. If you have a bespoke idea would like to talk about what options are available to you, then please don’t hesitate to contact our experienced team. We look forward to hearing from you! With 20 years’ experience behind me, I set up Purdom’s Bespoke Furniture with a view to moving away from general carpentry and growing a small team in order to pursue my passion and specialise in what I love. What drives me is the challenge to produce unique, beautiful items of furniture of the highest quality. I love giving clients something that is tailor-made to their own functional needs and individual style. Established in 2002 and named after Phillip & Poppy (Phillip's adorable but mischievous Border Collie), P&P Maintenance was set up to offer private clients a complete "home makeover" service. With a professional background as a Chartered Surveyor, Phillip understands buildings and their defects, and his strength is offering solutions to overcome the challenges in your home. From a simple kitchen or bathroom upgrade, to project managing a full-scale home renovation, what sets Phillip apart is his commitment to professionalism, quality and after-sales service. His large team of trades people (from kitchen fitters to electricians, plumbers to plasterers) will deliver your project from start to finish - so it's one point of contact for everything you need. Please call Phillip today to chat through your project and arrange a consultation. When deciding whether to employ a joiner or carpenter in Grange Hill, Essex, it is best to pick your professional according to their experience on projects similar to your own. For example, installing bespoke joinery such as a staircase involves significant structural work and you might want to work with a carpenter in Grange Hill, Essex with considerable experience in bespoke staircase joinery. You will often find you need to employ both a carpenter and joiner on a single project, and some firms will offer both skillsets which can simplify your overall hiring process. Where can I find a good Grange Hill, Essex carpenter or joiner? 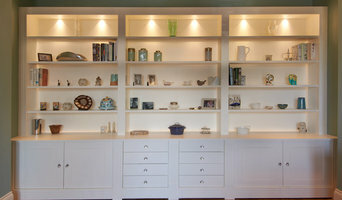 On Houzz there are many professional Grange Hill, Essex carpenters and joiners that specialise in providing a full carpentry service or bespoke joinery in Grange Hill, Essex, whether dealing with fitted or freestanding, traditional or contemporary furniture. 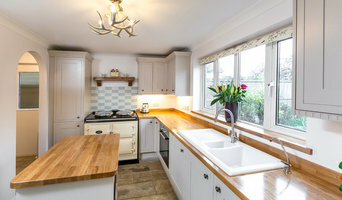 Simply search for a joiner or carpenter in Grange Hill, Essex in the Find Pros category, then add images of designs that you like to an Ideabook and contact those on your shortlist. If you need reassurance beyond photos of their work and reviews of previous clients, then you might check to see if the carpenter or joiner is a member of The Institute of Carpenters (IOC), The Guild of Master Craftsmen, the British Woodworking Federation (BWF) or the Federation of Master Builders (FMB). Each asks its members to meet a certain level of expertise and abide by a code of conduct. Have a face-to-face consultation – basic brief and image references in hand – see which joiner or carpenter in Grange Hill, Essex is the easiest to get along with and who best understands what you’re trying to achieve. How long have you been a joiner or carpenter in Grange Hill, Essex? 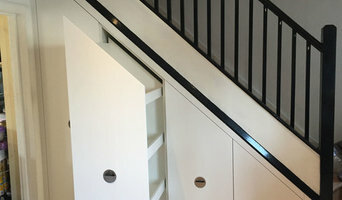 Do you offer bespoke joinery in Grange Hill, Essex as well as standard carpentry? Find a carpenter or joiner on Houzz. 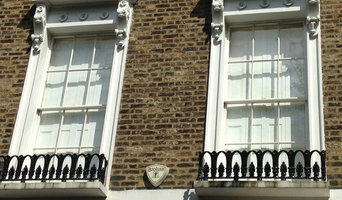 Narrow your search in the Professionals section of the website to Grange Hill, Essex joiner and carpenter professionals. You can also look through photos of woodwork and bespoke joinery in Grange Hill, Essex by style to find a design you like, then contact the joiner or carpenter in Grange Hill, Essex that worked on it.